Akhil Vemuri, a junior, has been attending UPA since the seventh grade. 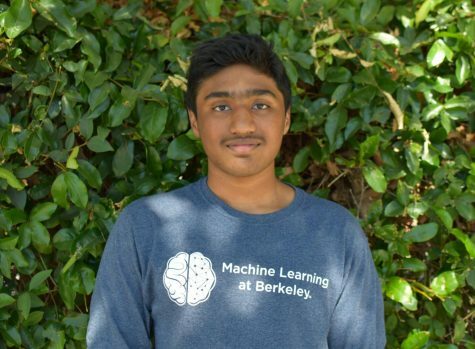 Since his early youth, Akhil has been deeply fascinated in computer science and plays soccer during his leisure time. When he plays soccer, Akhil prefers to wear Nike clothing as he finds them the most comfortable as well as having the best array of color selection. For a while, his favorite television show was Spongebob Squarepants. Akhil remains an engaged student and studies, and he has improved his skills in chess. His curiosity has guided him to take further interest in airplane engineering and concepts of aerodynamics as well. Akhil wants to travel to Brazil as it possesses a wide array of culinary selections he is not generally accustomed to, and his favorite food is an Indian dish known as Chicken Biryani. He is a strong advocate for both his Indian culture and American culture. Akhil also possesses a knowledge of two languages: Telugu and English. His number one pet peeve is high pitched hiccups. His favorite actor is Chris Pratt due to his phenomenal acting in Jurassic Park as well as Guardians of the Galaxy, and his favorite song is “Burn” by Ellie Goulding. What happens to be his favorite Starbucks drink? A Chocolate Frappuccino.